Another running app! Sounds boring, but this one has a big, big difference: it uses zombies to terrify you into going for your daily run. Zombies, Run! 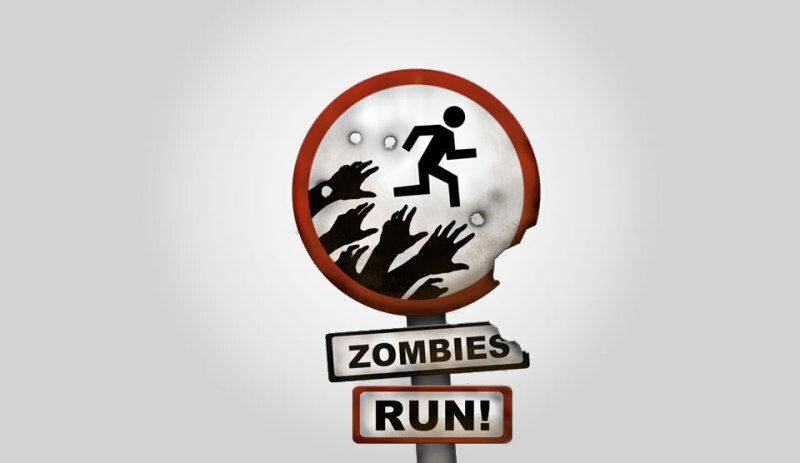 turns your daily run into a zombie movie, complete with a plot told via radio updates. The app tells you when zombies are ‘near’ by playing horrible noises, which is your cue to run. Run too slowly and the zombies ‘get’ you. You collect supplies for every run you complete (or ‘survive’), which can be used to build your base in a cool little game post-run. How does it make life surprisingly easy? If feeling like a horde of ravenous zombies (and possibly Luis Suarez) is about to sink their teeth into you isn’t enough motivation to get you going for a daily run, nothing is. Luckily, you’ll get all the health benefits of a zombie apocalypse without the bad bits. It’s pretty realistic. Sometimes it honestly feels like you’re in the midst of a zombie apocalypse and your daily run is the only way to survive. Like we said before, it’s a very good incentive to strap your trainers on and start pounding the pavement. Your first Zombies, Run! workout might be so terrifying that you never leave the house again. Has an app made your life surprisingly easy? Tell us in the comments! ← You love your mobile phones as much as you love your pets. Here’s how to get over it.